At Harleston Church of England Primary Academy, our Collective Worship is centred on the Christian’ Values for Life’ programme. 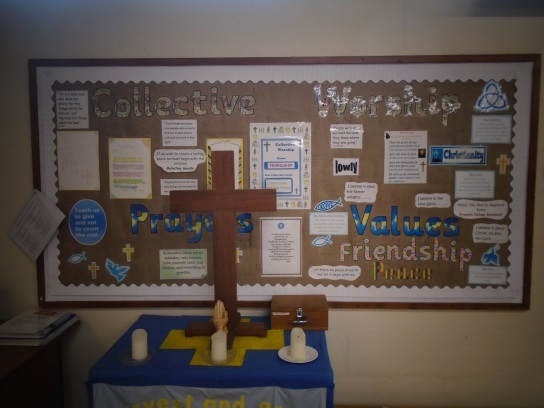 School Collective Worship is an affirmation and celebration of the Christian values and ethos of the school. Collective Worship is central to the life and purposes of our school. It is an inclusive act which encourages reflection in all present, of all faiths and none, rooted in the Christian understanding of God as Trinity. As a Church school we want our children to have the opportunity to learn to worship and to grow in their understanding of God and of themselves. Collective Worship in our school is not simply a statutory duty. We believe that we are all made in the image of God and that worship should form an integral part of our lives. We believe that at its heart Collective Worship should provide an opportunity for pupils and staff to come together to learn, reflect and pray, sing, share and communicate their feelings with one another and to God. Our school has close links with St John’s Church and the children enjoy taking part in services several times a year, including Harvest and this year we are supporting the ‘Waveney Food bank,’ Christingle, supporting The Children’s Society, the Easter Service and a Leavers Service at the end of the Summer Term. 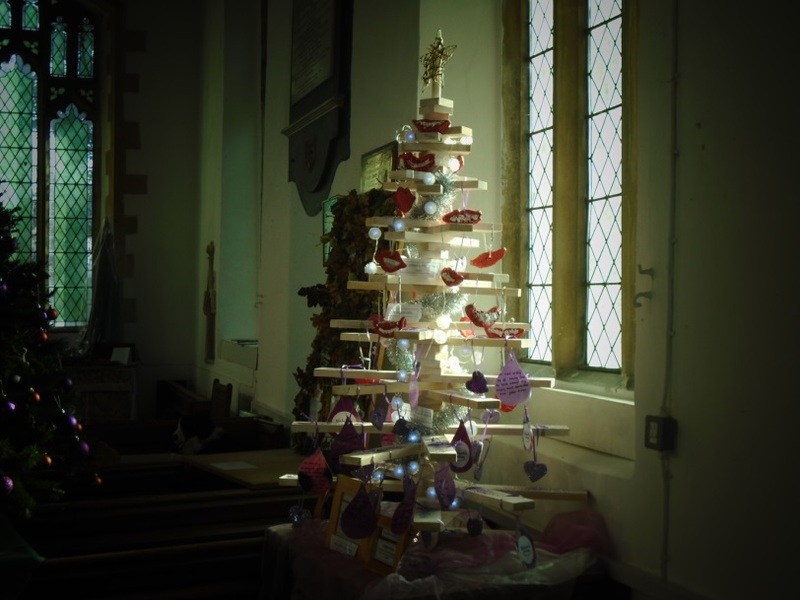 We also support charities close to the heart of the school, for example, at Dickleburgh Tree of Life. We continue to benefit from a wide range of visitors from our local community and churches who support and enhance our Collective Worship opportunities. Collective Worship is central to its life and work and is regarded as a very important part of children’s education. We seek to provide acts of Collective Worship that reflect the faith and practice of the Church of England therefore: We use the Bible as a sourcebook for inspiration and learning and make pupils familiar with the Lord’s Prayer, psalms and other passages of scripture. We provide opportunities to discover the value of silence and quiet reflection. We observe the major Christian festivals and celebrations. In our school, we aim to provide a worship space which is attractive and well prepared with appropriate thought having been given to space, seating, ambience and music. We also have a permanent Prayer Space which is led by the Year 6 children and provides a place where children can be quiet and reflect on the Values each week. On a Friday, a Celebration Assembly takes place where children can share and celebrate their experiences, achievements and success. This is a celebration of the children’s work through the week and an opportunity to recognise individual achievements. Class led worship takes place each term where parents are invited in to share in our worship.